I take on new work as my schedule allows. If you would like to speak with me about a writing, editing or photography project, please click on the Contact link, below. Letting Go © 2009 Charlotte Meryman — Henry leaves for his group home after a visit to the farm. 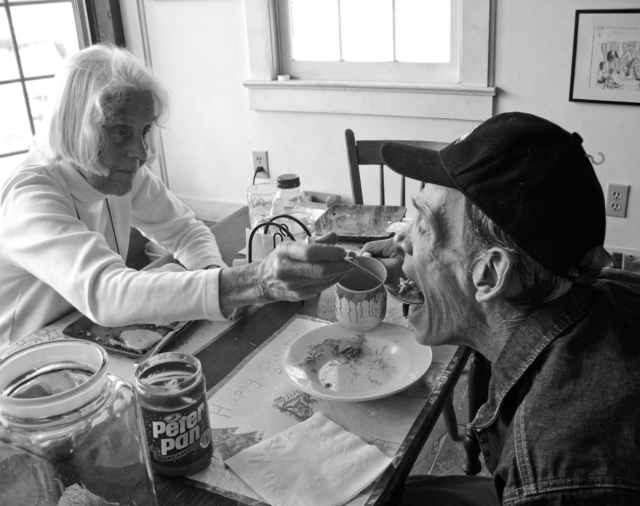 Full Circle © 2010 Charlotte Meryman — My mother helps Henry with his lunch. For the past decade, I have been photographing and writing about my family and the rambling Maryland farm where I grew up. From 2009 to 2011, I posted many of my images on a daily photoblog (see Photo Archives link at left). 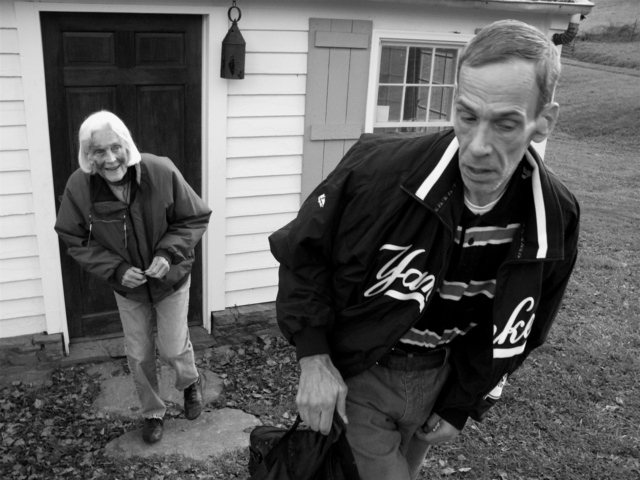 Much of my work has focused on my brother Henry, who was born with developmental delays and suffered from mental illness for most of his adult life, and on my mother, who continued alone on the farm for six years after my father's death in 2010, until her own in 2016. Henry died in 2013. As we now let go of the farm itself, I continue to explore themes of love, loyalty, legacy, and loss, and look for new ways to tell our story. The links below connect to five series of photos of Henry. 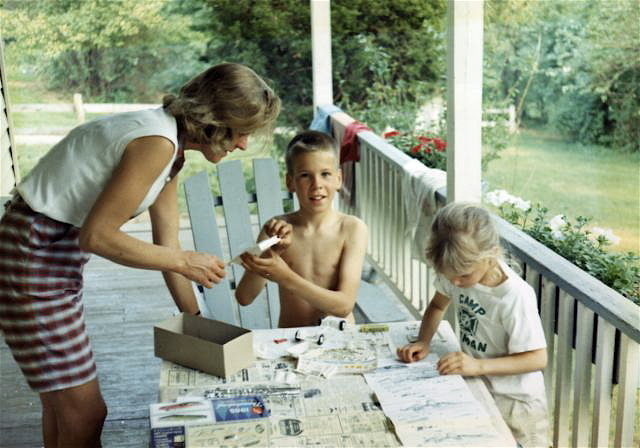 Henry builds a model car, with help from my mother and me, circa 1965.